I was not expecting much ordering KKMOON K6 (and receiving actually OCRKJ K6). Which also known as CAFU K6. 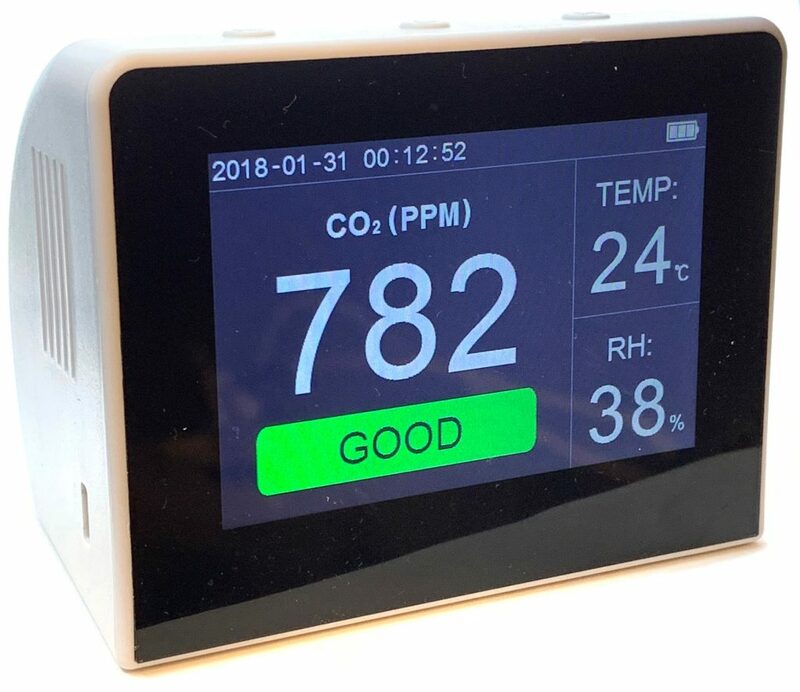 Because most of the portable air quality monitors I got before have at least one major issue with measurements (AiRead M3 – all measurements wrong, HT-501 – wrong temperature, AirRadio A6 – issues with CO2 measurement after outdoor use and wrong humidity measurements). AirVisual Node was the only exception that both portable and show correct numbers. But it just too big to put it in your pocket. So there was a long history of portable CO2 monitors with issues. And it was kind of a surprise that device I bought for 83$ is both portable and display correct numbers.